The Northern Circuit Route is a new unique route and the longest trail on Mount Kilimanjaro. It goes through the untouched northern slope and begins in the West of Mount Kilimanjaro at the Londorossi Gate with excellent views from all sides of the mountain. The trail is less popular and thus good for people looking for a quieter route. Northern circuit route can be a good optional for those people who need more time for acclimatization will trekking the roof of Africa and it can be done in 10 days including an extra night at crater camp or for 9 days without camping at crater camp. Day 1: We meet at Kilimanjaro international airport and drive to your hotel in Moshi rest for a while before meet your guide for gear checking and briefing about the mountain. Also our guide will go through our camping equipment and demonstrate the use and operation of all equipment especially emergence oxygen cylinder and pulse ox meter. Also our guide will go through signs and symptoms of mountain sickness which might happen while trekking. Day 2: To Mti Mkubwa camp 2650m: After breakfast we will drive about 2 to 3 hours from Moshi to Londorosi gate for registration and collect our entrance permit then we will drive again about one hour to Lemosho starting point where we will get off from our jeep and break for picnic lunch. 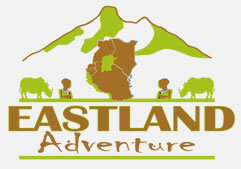 In this point is where we will meet with the rest of Eastland adventures Kilimanjaro crew like guide, cook and Porters. Our hiking will start through crossing rain forest about 3 to 4 hours to cover the distance of 7km. On our way we will see a lot of beautiful flowers like impatients Kilimanjari and if you will be lucky you might see black and white Colobus Monkey sand other forest wildlife. Day 3: To Shira one camp 3610m: After breakfast while our crew clearing the camp we will start gradual working through rain forest and after two hours we will be out of the forest in the moorland zone, West side of Shira plateau where you will be able to see old lava flow and we will walk slowly to enjoying the sun and more breaks for acclimatize. Our distance will be 7km and we will spend 5 to 7 hours including picnic lunch break, after we will get to our camp for resting and overnight. Day 4: To Shira two camp 3850m: Today we will walk for 4 to 6 hours to cover the distance of 10km also we will cross the middle of Shira plateau the world heritage site. Optional we can walk via Shira cathedral for acclimatization, view of Shira plateaus and picnic lunch before heading to our camp for resting and overnight. Day 5:To Moir hut (4200m) via lava tower: Today you will have long way by starting with the gradual boulder rocks and get to the junction in alpine desert, Meet with other hikers from Machame route and join them in the same trail heading to Lava tower, A high 150m volcanic lava plug juts out of the side of mountain, we will arrive at lava tower around noon for lunch and rest for a while before descend about 1 to 2 hours to Moir hut our beautiful overnight camp located at the base of massive lava flow. Day 6: To Buffalo camp 4020m: After breakfast we will start by hiking boulders rock heading eastern northern side and we will have clear view of the Kibo peak, we will break somewhere for picnic lunch before getting to our camp. We will hike for 4 to 6 hours to cover the distance of 10km. Day 8: To school hut 4800m: Its long day walking about 10km for 4 to 6 hours crossing the saddle area and alpine desert, Also this camp will be last water point in our trek hence our crew will carry water from this point to the base of the mountain where we are going to overnight. Day 9: To crater camp 5700: Today it’s our difficult and challenging part of our hike we will start by gradual ascent through volcanic screed meet zigzag trail which starting to get steep and keep moving to carter rim at Gilman’s point 5685m, where we will break for a while to get some pictures and light food before heading to Stella point 5756m where we will gate into crater from this point. You will rest for a while and after you will have an optional hike to explore the inner crater and ash pit which is raised circular inner rim the inside of which slopes down to a flat floor and then 200m deep inverted cone at the very center of volcano, Also mount Kilimanjaro has one of the mostly perfect formed volcanic ash pit of any mountain in the world. Day 10: To Uhuru summit 5895m then Descend to Mweka camp 3100m: Today we will wake up earlier enjoy our breakfast start our ascent to the summit early enough in the morning to be at the summit by sunrise. This final hike to the summit is about 195m but very tiring. The beginning part of the trail is very soft, loose, dusty and very few steep rocky scrambling to the top followed by relatively flat terrain about 250yards to Uhuru sign. This is quite difference compare to 1200m long required to summit from other base camp. The reward of seeing glacier and standing of Africa highest peak are well worth the efforts. At the summit you will spend 10 to 20 minutes for pictures and view before join other hikers to descend to Barafu base camp for 2 to 3 hours where we will have short break for brunch before descend to Mweka hut 3100m for overnight. Day 11: Descend to Mweka gate 1640m: After breakfast you will meet Eastland adventures crew again for group pictures and Kilimanjaro song, After we will start descending down via rain forest about 10km for 3 to 4 hours. While we are in the forest if you’re lucky you can see black and white Colobus and blue Monkeys and you will be able to hear a lot bird singing some songs but it’s not easy to see them. Once we arrive at the gate we will sing out in Kilimanjaro national park log book our guide will collect our certificate for those who made successful summit and drive to your hotel in Moshi for long shower and Kilimanjaro beer. Day 12: Drive you back to Kilimanjaro international airport for your departures or join us for Safaris.